I am a psychotherapist specializing in working with individuals and couples who are experiencing infertility. I have been doing this work for well over 20 years and lately have concentrated on people using third party reproduction to create their families. I began to notice that it was hard for couples to imagine themselves as parents. How could they? After sometimes years of failed treatments, the thought that a procedure might bring them a successful pregnancy was just too hard to conjure up in their minds and so when they came into my office, talking about their future child was too far a stretch. The problem is that I need to talk to them about their family building option and their belief of how their child’s conception would impact him/her later in their lives. My job is open up a discussion about their feelings about disclosure (who to tell, who not to tell), family support, their individual feelings about being biologically or non biologically linked to their child and what they imagined this relationship would look like. I began to wonder how I could help them believe that one day they might hold a baby in their arms. A baby who would call them Mommy and or Daddy. So when they sat down in my office and I told them that during our consultation (as mandated by their physician), they were not the most important person in the room, but their future child is. Everything that we will talk about will revolve around what is in the best interest of their child and nine times out of ten, they looked at me like I had three heads. I am trained as a Gestalt therapist. We use an empty chair technique to help our clients focus on the different parts of themselves. The client places an imaginary inner child or the people in their lives that have hurt them onto the empty chair, which allows them to open up about their feelings. As they speak to this projected person, they can get in touch with the feelings and begin to name them, recognize them and start releasing the negativity from their lives. Hmmm! I looked around my office and realized that I could use an empty chair with the people who are planning to have a child. I could ask them to project that baby/child/teen onto the chair (that has a few teddy bears on it!!) and when I questioned them about how they will thought they might feel telling their child they were conceived through a donor, surrogate, gestational carrier, they could imagine it. If they sit for a minute and focus on the chair, they are able to let their heart and their minds project how they might feel. So when I ask them what do you think about talking to your child about his/her biological origins, they take the question in and ponder. Before I used the chair, most couples’ immediate response would be that they would not ever tell or they would wait to tell or they were undecided and were afraid to even think about it. But with the chair present and my coaxing them to think deeply about what would be in the best interest of their child, they almost always decide that if they have their child’s best interest in mind and heart and they want to be honest parents that their children can trust, they decide just like the research teaches us. The earlier the story begins, the easier it evolves and the family moves on to create a secure and stable environment where children can grow and flourish, no matter how they came to be. So, thank you empty chair for bringing this imaginary longed for child into the room so these future parents can make a decision that will benefit all of the members of this beautifully conceived family. Harriette Rovner Ferguson, LCSW has been specializing in providing psychotherapy to individuals and couples experiencing infertility for the past twenty years. She is a mental health consultant to infertility clinics on Long Island, New York City and Pennsylvania. She conducts interviews and evaluations for infertility patients entering an IVF cycle or those contemplating using a third-party to create their families. Some of you love the word, and some of you detest it, so here’s my opinion about using accurate terminology, along with a few weigh-ins from several parents, a donor, and a few donor-conceived people. A hot topic of discussion on the Donor Sibling Registry has always been terminology. We even devoted an entire section to terminology in our book, Finding Our Families. Most of the discussions have revolved around the terms used for the gamete seller: eg., donor, father, biological mother, donor dad, sperm seller, mother, genetic parent, bio dad, genetic mother, biological father, etc. But there hasn’t been too much discussion about others born from the same “donor”… until now. The feedback that I have received indicates that while some parents of young children like the term, many donor-conceived people do not like cutesy words like “dibling” to describe themselves, or their half sibling relationships. Explaining to people that you are a donor-conceived person, or that you have half siblings, is factual, and accurate. Using a word like dibling only calls for explanation, and labels the person as something “different”. I have found that even for young children, accurate terminology can be very important. Children are not diblings, they are just children. They are donor-conceived people, and most of them have half siblings, other people born from gametes (sperm or eggs) from the same genetic parent. They have half brothers and half sisters, not “diblings”. Adopted people who connect with their half siblings don’t call them adoptiblings. They refer to them as siblings or half siblings, even though they did’t grow up in the same home. Personally, every time I see the word I want to say dumpling. But it wasn’t “all parties”. It was parents who might not have been comfortable connecting if not somehow lessening or defining the relationship as somehow “different” by calling the half siblings something other than what they actually were. “Instead of jumping to defend a term that doesn’t in any way describe yourself, listen to the people who your label is about, and how they do not like it. Realize that your own child might also grow up to hate the term that says her biological half siblings are less than enough to be called what they actually are. Years ago parents were told to not tell their children they were donor conceived. Then as those children were finding out as they were older and started speaking out about how it hurt them so much, it changed the way many parents are now parenting DC children. They are telling them from young ages, the truth of their conception, because they learned it was best for their child to honor their truth. Some parents still believe in keeping that a secret, even though research shows it isn’t the best way. As we continue to redefine family on the Donor Sibling Registry, we all need to be very aware that the words we choose to use to describe our families say a lot about how we think and what we value. We will probably never all agree on donor family terms that make everyone happy. But in the meantime we can be acutely aware about how the terms we use affect donor-conceived people, many of whom already struggle with the fact that they have been deliberately cut off from half of their first degree relatives, ancestry, and medical histories. Our language will certainly continue to evolve. Parents (and others) owe donor-conceived people the respect of using terms that do not make them or their familial relationships any “less than” people and relationships in more traditional families. One donor-conceived woman’s take on the word dibling. Old thinking: Infertility is something to be ashamed of. New thinking: Coming to terms with infertility is a process. With proper education and counseling, healing can begin so that the shame of infertility isn’t passed along to the child as the shame of being donor conceived. Old thinking: Keep the secret. Don’t tell anyone that you used a donor, especially your child. New thinking: Secrecy implies shame. Openness and honesty are the best choices for all families and your child has the right to know about how they were conceived. Donor children do not love their non-bio mom or dad any less, so this is something that shouldn’t be feared. Old thinking: Wait until the child is “old enough” to understand donor conception before telling them they are donor conceived. New thinking: Research shows that starting the conversation long before a child can fully understand is best. That way, the information is incorporated into a child’s identity, and there is never any “telling” event. Old thinking: Wait until a child is “old enough” or until they ask before telling them about half siblings. 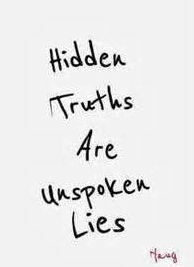 Old thinking: If your donor-conceived child finds out the truth, ask them to keep the secret. New thinking: It is not healthy or fair to ask your child to keep this information as a secret. Secrecy implies shame. Being donor conceived is a part of their identity and needs to be acknowledged and embraced. If the child is struggling with this new information, it’s a parent’s responsibility to walk with them and support them. Parents: you can apologize for keeping the secret. This is no longer about you. Old thinking: Donors can and should remain anonymous, for 18 years (“open” donors) or forever (”anonymous” donors). New thinking: DNA= Donors Not Anonymous. With DNA (and the Internet, social media, public records, etc.) donor anonymity ceases to exist. Many egg clinics/agencies are now writing the Donor Sibling Registry into their contracts so that contact between parents and donors is made right from pregnancy or birth. Why don’t sperm banks do the same? Old thinking: Donor conceived people should be kept from their biological parents for at least 18 years, as with “open” or “willing-to-be-known” donors. New thinking: It can be extremely important for both medical and psychosocial reasons for donor offspring to connect with their biological parents, long before the age of 18. Parents: the choices that you make early on will affect your child for decades to come. Old thinking: If donors are anything but “anonymous” they will have rights and responsibilities for their donor offspring. New thinking: Donors who donate through clinics and sperm banks have no legal rights or responsibilities. Old thinking: Donors shouldn’t tell their spouses or children that they were donors. New thinking: Donors should be telling anyone that they are in a serious relationship with that they have sold their eggs or sperm. Donor’s children should be told that they (might) have (many) half-siblings, as they too might want to connect. Again, secrecy implies shame. Own it and share it. Your family has the right to know. Old thinking: DNA doesn’t make a family. New thinking: DNA is certainly not the only way to make a family, but it can and does define family. As with adoption, many donor-conceived people wish to connect with and learn about their ancestry, medical history, and first-degree genetic relatives. There is no need for a parent to minimize the importance of their child’s “other” genetic relatives. For parents, it might be nothing more than a “donated cell”, but to a donor child, it can mean so much more. Old thinking: Donors shouldn’t have any obligation to update their medical records. New thinking: Updating and sharing of medical information is crucial and can even save lives. Parents should know about all medical issues reported by families and donors, both before and after pregnancy. Old thinking: There is no need for accurate record keeping on the children born from gamete donations. New thinking: There is a dire need for accurate record keeping so that groups of half siblings of 50, 100, or 200 stop happening. You can’t notify families of reported medical issues if you don’t know who they are. Old thinking: It is more important to put profit before ethics in the reproductive medicine industry. New thinking: The needs and rights of the child should be considered first and foremost. In 2000 when my son and I started the Donor Sibling Registry (DSR) (initially as a Yahoo chat discussion group), the predominant conversation was about disclosure. Back then many, mostly straight, parents were invested in keeping the secret, and came from the point of view that as a parent, disclosure was their personal choice to make for their family. 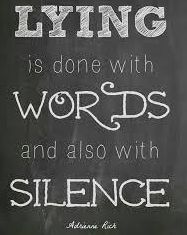 They did not like to hear about why not telling (lying) might be harmful to offspring and unhealthy for their family. They didn’t want to hear that secrecy implied shame. Some felt attacked and offended when offspring or other parents gave reasons as to why lying to their child was not right. They stuck to their guns, even when they heard from offspring who reported feeling like their world had been turned upside down, when they discovered the truth later on in life. These parents insisted that they were not telling their children because it would “hurt the child” to know the truth. They didn’t want to hear that non-disclosure was more about their own (or their partner’s) shame and fear and not at all about what was in the best interests of the child. Why should a parent’s right to secrecy trump a child’s right to the truth? Healthy relationships are built on foundations of trust and honesty. We expect honesty from our children, shouldn’t they expect the same from us? This conversation is not a new one. Honesty has long been an accepted practice within adoptive families, while at the same time, sperm banks and egg clinics were (hopefully no longer) advising parents to “keep the secret”. There was never any psychological research to back this up, so we know that the advice had no psychological foundation and no merit. It only served to keep the industry’s dirty secrets secret. It also served to protect the infertile non-bio mom or dad, and it perpetuated the shame of infertility. It created so many parents with shoulders heavy from carrying a deep dark secret for decades. This is why we strongly recommend infertility counseling (before pregnancy) for non-bio moms and dads. It’s important that they work through their own grief about being infertile so as not to pass along that grief, in the form of shame, to their children. Many of the parents who chose to “keep the secret” left our group. Some have joined the DSR in secret, connecting with other families only to tell them that they have no intention of telling their children. I can’t help but wonder how these families have fared, if/when the secret came out, how the children reacted, and how long they all have before DNA reveals the truth to everyone. Telling is just the beginning though. Just because a child knows that they were conceived with the help of a donor, doesn’t mean they will have peace with not knowing about one half of their identity, medical background and close relatives. The conversations on the heels of disclosure are extremely important. They should acknowledge, honor, and validate any curiosity that donor offspring have about their unknown first degree genetic relatives. They should support any desire that a donor offspring has to search for, and to connect with these relatives. The conversations should be ongoing and affirming. Telling is only the first step to creating healthy and happy donor families. If you need help in supporting your donor conceived child, including deciding when and how to tell your child, read through our DSR Counseling Page. 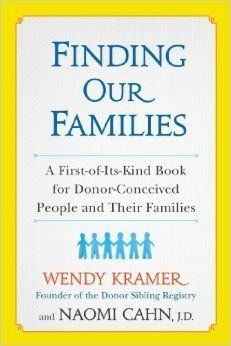 For more in depth advice (from all of the stakeholders: offspring, parents and donors), read Finding Our Families: A First-of-Its-Kind Book For Donor Conceived People and Their Families. How to move forward in connecting with a donor or a half-sibling family (or many families). Non-biological parents feeling uncomfortable about their children reaching out to biological relatives. How to cope when you have a burning desire to know your genetic/ancestral history, both with and without parental support. Family can be formed and defined in so many different ways, but biology has always been the most common family bond. If biology didn’t matter, we’d give birth to our babies, and then just pick any baby from the hospital nursery to take home. That doesn’t happen! In most cases, parents want to take home and raise the child that they have a genetic connection with. Having a biological connection to a child (to one parent) matters to parents who use sperm and egg donors*. So, if parents value this genetic connection on one side of our child’s family tree, shouldn’t they also recognize and value it’s importance on the other side? All too often I hear parents negate or minimize the importance of their child connecting with their unknown biological parent (the donor) and their half siblings (people conceived from the same donor). Some refer to the donor’s contribution as merely “a piece of genetic material” or just a “donated cell”. But to many donor conceived people, it’s so much more. Donor offspring desire to know about their genetic relatives. Genetic uncertainty has clouded my life since I was 12 years old, when I learned that my conception was facilitated by an anonymous sperm donor. Though the shock dissolved in the following months, I’m reminded of this obscurity entwined in my DNA when I’m asked to fill out a medical history form at the doctor’s office and have to indicate that, genetically speaking, half of my family tree remains in shadow. I’m joining the Donor Sibling Registry in the hope of connecting with others who have had similar experiences, hearing stories, and maybe even finding a biological half-sibling or relative. Even children of donors can be curious about their half siblings. We often talk about the importance of honesty in donor families, and honoring a child’s curiosity about their first-degree genetic relatives. Do donors also owe their own children the truth about their donating? Do the donor’s children have a right to know that they (may) have half siblings? DNA testing is already revealing theses family connections, and it will only continue to become more common. My guess is that most donors do not inform their families, as some are ashamed, some don’t consider donor children as true “family”, some are afraid of 100 kids coming forward, and some have spouses very much against it. I should note that we do have a few thousand donors on the DSR who are open to contact (with some wonderful resulting stories), and we do hear about positive donor-offspring connections also made through DNA. I recently found out that my father donated to sperm banks many times years ago and I wondered if I have any more siblings out there. Why not give children the opportunity to grow up knowing their half siblings? Our kids are two and half years old. They are only 3 weeks apart in age. They are so alike and they are so different. They spent 4 days together, fighting and playing and then fighting some more. Within our individual families they were only children. In our new family they are very much sister and brother. There aren’t words to explain the sense of peace that has given us as parents. There’s no yardstick that can measure how much this has enriched our lives. Some parents who have seen their children’s half siblings posted on the Donor Sibling Registry (DSR) have said that they will wait to establish contact with the half siblings until their child is old enough to make that specific request. Generally, children don’t decide when to meet their relatives. (They also don’t decide the timing of a lot of things!) We don’t wait until they show interest or ask to meet Aunt Shirley, Cousin Frank, or Grandpa Larry to make the introduction. Our children grow up knowing their relatives, and then, when they are older, they choose who they wish to be in contact with. Just imagine being 20 something and finding siblings on your own when DNA testing is even more wildly popular, or they find you. You then develop some kind of relationship. You find that many of these siblings had parents who encouraged these relationships, even from babyhood. You see the pictures, you hear the stories. Disney, camping, birthdays… A couple of them will be roomies in college, maid of honor in a sibling wedding, etc. To me, this would be crushing. I would feel so cheated. Whether or not I had great neighbor pals, awesome cousins, or even siblings from the same home. We chose early contact with half siblings because we felt if he wanted to end contact when he was old enough to choose, he could. But if we waited until he was older, and told him we knew his half siblings all along, and he wished for that contact, there would be a lot of years and missed opportunities gone. We feel being open, honest, and having connected early on may instill a sense of pride and ward off any shame that may come about if we were secretive about this part of his story and family. We also have a son who was adopted at birth so we are big on celebrating and embracing the ways in which our family came to be. Connecting on the DSR may be the only way to share/update important medical information with other families. I just found my half-sibling this year. I am 29 years old and wish that I could have known him my whole life. It is really special, and I’m so thankful to have found him. We met a couple of months ago and it’s like we have known each other all along. 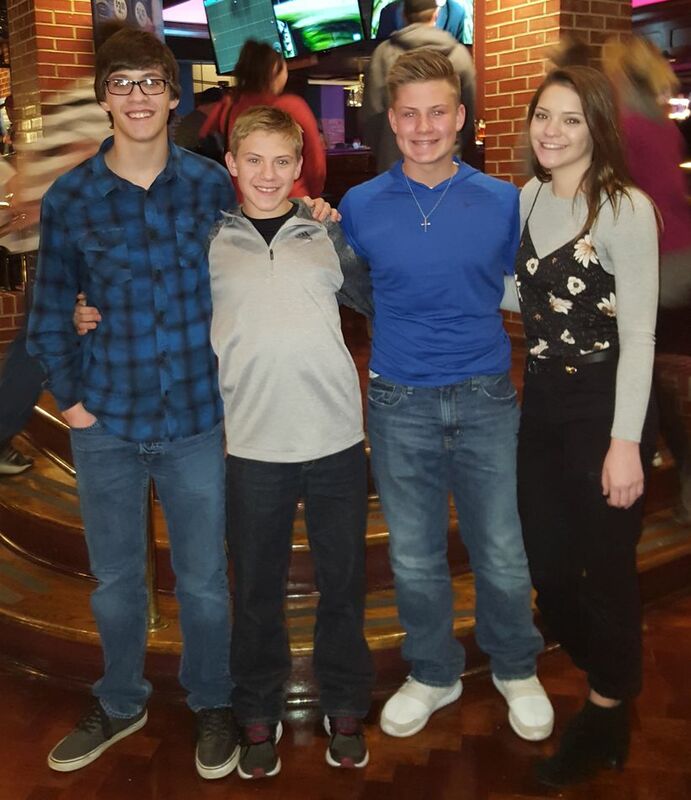 I think it’s really cool that I have siblings (I’m close to three sisters and one brother). We get closer every year because we FaceTime, text, and get together in the summertime; ever since I was three. My sisters and I are now teaming up against our brother. And it’s fun picking on him. We live thousands of miles apart, yet it feels like we all live together. We’re talking about going to college in the same town. You’re never too old to find half siblings. When I signed up with the DSR a year ago, I did it more with the hopes of finding information about my donor, than with any thoughts of actually finding a sibling. After all, I’d be conceived in the late sixties, well before the existence of sperm banks with registered donors. At that time everything was very secretive, with absolutely no information given to the parents. When I got to the DSR, I was the first person to create a listing under my mom’s doctor’s name, from New York City. About eight months later, a woman emailed me to say that her mother had used the same doctor as mine, just two years later. We figured we could band together to find out as much info as we could about how the doctor (now long deceased) had gone about finding donors. After a few months of research, we were able to piece together that the pool of donors he used was actually very small. 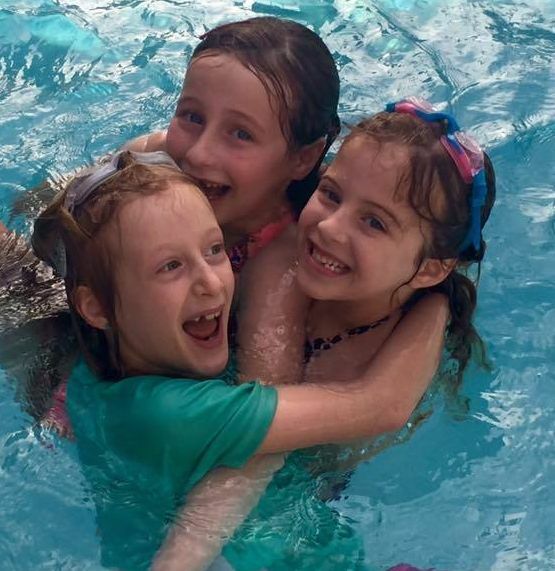 It honestly hadn’t occurred to us before that we could be siblings, but once we learned about the small donor pool, we figured why not give it a shot. So we found the most reliable and thorough testing facility, and did a half-sibling DNA test. Lo and behold, it came back with 99.7% certainty that we were sisters! So for all the older donor offspring out there who have only fragments of the story of their conception, don’t give up hope. And finally, of course there are no guarantees that all family connections will be entirely positive. Some people are suspicious when they look at the success stories on the DSR, and have asked, “how can these connections all be so positive?” While the great majority of new family connections on the DSR are indeed very positive, some might be more flat or sometimes even more of a struggle. Our families are made up from all races, religions/non-believers, academic backgrounds, gender identities, sexual orientations, abilities, socio-economic backgrounds, political perspectives, nationalities and varied personality types. All families have issues. Not all people are like-minded, or have enough in common to wish for continued relationship, and sometimes people don’t agree on the desired level or degree of contact. When we look around our Thanksgiving table, do we want to hang out with everyone there? Sometimes not! Some family members are just not the kind of people you’d want to hang out with, and some may just be people with whom we don’t have enough in common. Are these reasons to not seek out your (or your child’s) unknown genetic relatives? We think not! * People who sell their sperm and eggs are commonly known as “donors”, although most don’t actually donate anything. I’ve attached your acknowledgement receipt for the petition. Its docket number is officially FDA-2017-P-0052. I have sent the petition to the FDA’s Center for Biologics Evaluation and Research (CBER). Per regulation the center has 180 days to respond to you about this petition. That response may be a decision or an interim response. We won’t likely receive an update before that time unless the center has questions for you. In that case, they will contact you directly. “Our cryobank has been unable or unwilling to locate our “identity release” donor for 6 months now, despite all requirements/paperwork being in order, and does not return phone calls or emails regarding the status of our request to contact the donor. “When I used CCB in 1999 they told me limited to 30 families- as of right now there are 30 kids. 1. Most donors* and recipients are not properly educated, counseled, or informed beforehand about the needs and rights of the children they are helping to create. This includes the importance of connecting with families to share and update medical information, and the innate desire of donor conceived people to know about their first-degree genetic relatives. 2. There is no comprehensive medical and genetic testing conducted by clinics and sperm banks. In the US the FDA only mandates for STD testing and for a handful of other diseases. Some facilities test some donors for some diseases. Testing for STD’s does nothing to prevent transmission of genetic illness. Proper genetic testing of all donors is critical. Hundreds of medical and genetic issues have been reported to the Donor Sibling Registry, many of them hereditary. 3. There is little to no regulation or oversight of the US reproductive medicine industry, which ships sperm to over 40 countries around the world (so this is a global issue). This industry is not required to maintain or update records regarding genetic disease transmitted to donor offspring. Information about inherited physiological and psychological predispositions are a significant element in obtaining appropriate medical care, particularly in preventative health care including screenings and preventative medicine. Examples: genetic predisposition for heart disease, mental illness, or Cystic Fibrosis. A donor’s medical profile is merely a self-reported family health history, along with a snap shot of one day in the life of a healthy young adult. 84% of surveyed sperm donors and 97% of surveyed egg donors were never contacted for medical updates. 4. No accurate record keeping exists about how many offspring are conceived for any one donor. Records, if any are kept, are incomplete regarding the number of offspring created from each donor, as all reporting is voluntary. There are many large cohorts of half-siblings, some now as large as 200. If urgent medical issues arise, families can not then be notified. Many families who are on file with the sperm banks claim that they were never notified about medical and genetic illness reported to sperm banks by donors and by families who used the same donor: they learn about the genetic and medical issues by connecting with other families on the DSR. 5. Around three quarters of surveyed donor offspring advise that prospective parents do not use “anonymous” donors. Many countries have banned anonymous donation and we all need to ask the question “what is in the best interests of the child to be born?” “Anonymity” is never the answer. Many heartfelt stories and testimonials by donor offspring have been reported to the DSR. Many parents use donor conception instead of adoption because a genetic connection is important to them, but then negate the importance of that very same genetic connection when it involves their child’s relationship to the “donor”, the other half of their child’s genetic family, ancestry and medical history. 6. Many donor conceived children long to connect with their half siblings and their donors long before they are 18. 18 is an arbitrary number set by clinics and sperm banks to protect their own financial liability. This age limit is not backed up by any psychological research. Quite to the contrary, research has shown that many wish to connect, and have made successful connections, long before the age of 18. Thousands have been doing so on the Donor Sibling Registry for more than 16 years.Many egg clinics (not one sperm bank) have been connecting donors and parents on the DSR (anonymously) from pregnancy or birth for years. This allows parents and donors to share and update medical information right from the start, and it allows children to have access to their biological parents from the moment they start asking questions. 7. DNA: Donors Not Anonymous. Anonymity is a thing of the past and shouldn’t be promised to any donor or to any prospective parent. Sperm banks and egg clinics need to stop the fallacy of selling “anonymous” donors. Donor conceived people have been locating their biological parents via DNA testing (along with Google and social media) since 2005, as reported in New Scientist Magazine, so this is not news. Donors do not need to test their own DNA in order to be easily found by offspring and/or their parents, and there is no law prohibiting contact. Donors must be willing to be known by any offspring they help to create – and long before offspring turn 18. 8. Because of this end to guaranteed anonymity, non–disclosure is no longer an option. Many people who swabbed their cheeks to learn more about their ancestry and family tree have been shocked to find out that they are not genetically related to one of their parents, because their parents used a donor, and kept it a secret. Many have also been shocked to connect with half siblings. Finding out in this way that your parents have not been honest can wreak havoc on a donor offspring’s sense of trust and stability in the family. If you are a parent who has yet to tell your donor conceived child that they were created with the help of a donor, now would be the time to have that conversation, and we can help with that. It’s never too late to tell. Family secrets can be toxic, and your donor conceived child has a right to know about the methodology of their conception, about their medical background, and about their ancestry. If parents have not told, there is usually some grief associated with infertility that is unresolved, or there is an unfounded fear about a non-bio parent’s relationship with the child being negatively affected by the truth coming out. Parents: This shouldn’t be about your unresolved grief, your hesitations, or your fears. This should be about what’s in the best interests of your child, and their right to the truth about themselves, their medical background, their ancestry, and their genetic relatives. After telling (or after your children find out via DNA testing), please do not ask your children to keep the “secret”. This may have been your secret, but it shouldn’t be theirs. This type of response could cause unnecessary resentment, anger, and upset. Secrecy implies shame, and donor offspring have nothing to be ashamed of, most certainly not the methodology of their conception. Get yourself some counseling to help work through your unresolved grief, fear, or shame so that you don’t pass it along to your children. You are, and always will be your child’s mom or dad. You can work on becoming a more confident parent, secure in the knowledge that your child knowing the truth won’t rattle the strong parental foundation that you have built. 9. Telling is just the beginning. Many parents think that just because they have told their child about his/her origins, that this will be enough. Many then minimize the importance of the “donor”, thinking that because they don’t feel DNA is important, then their child shouldn’t either. Parents need to know that their child may view this invisible one half of their DNA to be a very important part of their identity and they may feel an urgency about gathering information and also connecting with their previously unknown genetic relatives. DNA isn’t the only way to make a family, but the importance of familial DNA connections can’t be denied. Honor your child’s curiosity, and let them know that they have your full support as they venture out for more information. Don’t behave in a way that forces your child to search for answers behind your back, as that can only create more resentment. They need you to be on their team. 10. The choices you make early on about creating your family with a donor will affect your donor conceived child for many decades to come. Try to think beyond your own needs, and educate yourself about what we now know to be true for donor conceived people. The Donor Sibling Registry (DSR) is a US based, global registry with a mission of connecting, educating, and supporting all those in the “donor family”. The 501(c)3 non-profit organization facilitates mutual consent contact among donors, recipients and offspring, so that they can share important medical information, and explore new relationships. Since it’s inception in 2000, the DSR has helped to connect almost 14,000 of its 52,500 members with their first-degree genetic relatives. * No one is “donating” anything, as all eggs and sperm are sold. As someone inveterately curious about people’s lives, I hit “pay dirt” recently. Not only did I get to hear a family story in some detail, but it was not “just any” family story. My “pay dirt” took me to a series of interviews with Wendy Kramer. I had the incredible pleasure of hearing about her experiences as a mom helping her son, Ryan find his people. As the search unfolded, it was clear that these were Wendy’s people as well. Here is a bit about why we had the interviews and how they worked. First the why…For many years the DSR website has received and shared family stories of search, connection, kinship redefined. Countless stories have been offered, but one has remained largely in the background. I know that as a board member and reader of the book Finding Our Families: A First-of-Its-Kind Book For Donor Conceived People and Their Families, I knew bits and pieces of Wendy and Ryan’s story, but I had no sense of a time line, of how much—if at all—the website assisted Ryan in his personal search, about what –if any—relationships Ryan had with genetic siblings, his donor, extended family. There were pieces of information but I had lots of questions. Admittedly, I’m a family story junkie, but in this instance, I was pretty sure I was not alone in my curiosity. From my perspective, this was a story worth telling and long overdue. Now the how…This was the fun part! I don’t watch TV, but have heard from so many others of the thrill of moving from episode to episode of an exciting and engaging series. Who among us has not known –or been—someone tethered to Mad Men or Orange is the New Black. Over the course of five or six weeks, I had my own thrill of going episode to episode: for me it was the Wendy and Ryan story. I suppose that Wendy and I could have covered the Kramer’s story in one long, intense phone call but that wouldn’t have worked for me. Instead I needed to take each episode in, write it up, marinate on what I’d learned and then move on. It was clear that each twist and turn in Ryan and Wendy’s journey taught them new lessons about family and that these lessons were well worth passing on to others. I wanted to not only hear this fascinating story but to make sense of it. And so it was to this end that Wendy and I spoke once each week for about an hour over five week span. I remember looking forward to each call, eager to find out “what happened next” and how it was all unfolding. Our conversations continued until the story was current and there was nothing more to tell—at least not yet. Hopefully Wendy will share new chapters in their story as they unfold and I will have the opportunity—I hope—to add them to the narrative you will see on the DSR website. For now, I hope that you will find Finding Our People (the link to the pdf can be found here, on the DSR’s Board Member Page) as moving and compelling as I did. It more than satisfied this family story junkie. When people come to me for “donor counseling,” I begin by asking them what would be helpful. Almost always, the response is the same, “We’re wondering what would be a good age to tell our future child about the donor?” This wording, their tone and accompanying facial expressions all tell me that these future parents are frightened. Much as they long for a successful pregnancy, they fear that it will be followed –at some point–by difficult and painful conversations with their child. In an earlier DSR blog I tried to turn this fear on its head and suggest that conversations with donor conceived children offer wonderful opportunities for proud storytelling. But when does that storytelling begin? And how do parents begin the conversation? My advice is pretty consistent and shared—I think—by others experienced with donor conception. Tell early. Tell naturally. Tell before your child can begin to understand. There will be no “moment of telling.” If you talk with your child openly and naturally from the time she is an infant, you avoid the burdens that come with a “moment of telling.” Your child will grow up with this knowledge and it will be woven into his identity from a young age. And if you speak joyfully and with pride, as I have suggested in my Storytelling blog, your child’s feelings about this information will mirror your happiness. I’d expect something like this to go through his little mind, “My parents look and sound so happy when they talk about how I was born. I can tell I made them happy.”Another reason for telling early relates to storytelling. If you subscribe to my “proud storytellers” outlook, then you will want to tell the story in its entirety from the start. The story begins long before your child was conceived, let alone born. It begins in your own family and if you have a partner, in his/her family and in your union. It is all one story and now you are weaving the donor into it. Children love to hear stories and they especially enjoy stories about themselves. You will be treating them to even more—stories about you and your families. Your early conversations will begin to root them in your families and shared history. Next, let’s focus your feelings: it’s simply easier and more comfortable to begin the conversation when your child is too young to understand. Many parents call it “practice time.” They appreciate being able to separate their own lingering feelings of loss and disappointment from their child’s experience, reminding themselves that for their child, donor conception is in no way associated with negative feelings. This practice time helps many parents rid themselves of their own negativity and move, more securely and authentically, to a place of confidence and pride. Finally, telling early avoids any risks of procrastination. You might ask, ”Does it really matter whether we tell our child at 6 months or at 18 months?” If the goal is to have a child who “always knew,” you can—I think—safely tell him anytime up to 2 or 3 years of age. The problem, I’ve found, is that once a child is verbal, parents who have yet begun conversations, are prone to delay telling. Some rationalize it, saying to themselves, “this is not a good time.” Others simply avoid the subject. “We just keep forgetting,” they may say. Telling early should not be confused with telling often. Just as there are parents who avoid, delay, deny, there are others who over-emphasize. Since one of the reasons for telling early is that you don’t want your child to feel different –at least not in a negative way—you don’t want to talk about it to the point of magnifying differences. Children will surely pick up on this. A parent who perseverates about donor conception can generate self-esteem issues as significant as one who waits until a child is much older to tell. Babies babble. Parents can babble too. Babies gurgle and coo. Parents can gurgle and coo too. My best advice is to join your child when he is still a baby. Yes, it may sound at the start like foolish babbling but clear communication will take shape over time. Before it does, you will be building your self-confidence, rooting your child in her proud history and setting the stage for a lifetime of open, honest conversations about matters big and small.